After a successful Interpaso, a relaxing and great cabalgata, follows another activity organised by OCA. 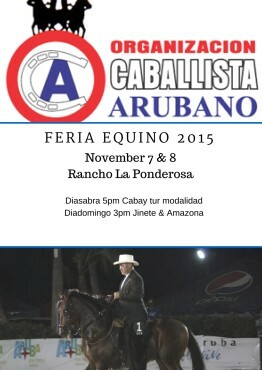 On Saturday November 7th and Sunday November 8th the last show for the year will take place at Rancho La Ponderosa. Rancho La Ponderosa is situated in Papaya, and there is free entry and parking. 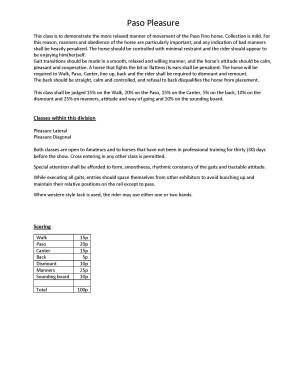 This show is a very important one for our Youth Riders, as they are earning points in order to qualify for the Youth Mundial taking place in Summer 2016. The judge for this show will be Juan Carlos Palencia from Colombia. The show will have its usual categories, along with new categories. One category making a comeback is the “Campeon de Campeones”, where both the male and female winners from the 12 years and up categories will face each other in a final battle to determine the ultimate champion. This category will take place on Sunday, after all youth riders have competed. This category offers a unique experience for riders who will not normally compete against each other, due to age or gender, to face off. The qualifying riders will be announced after the last category has been placed. 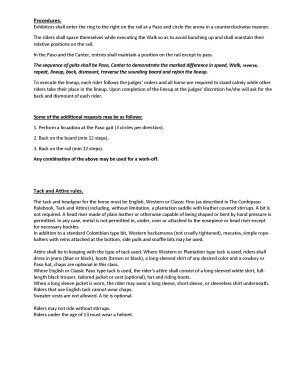 The latest category for this show will be ‘Paso Pleasure’. An initiative by the OCA to offer a category specifically aimed at pleasure riders. 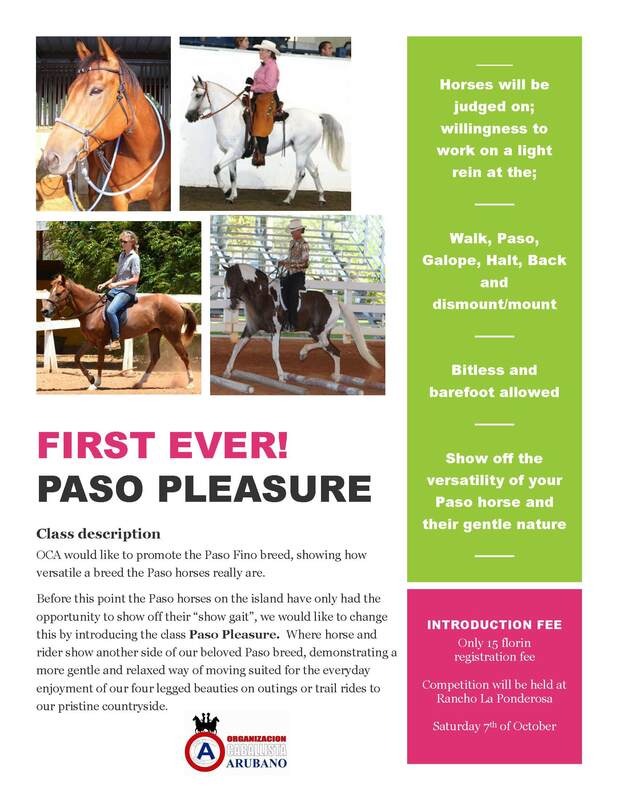 The entries for this class will be required to demonstrate the walk, paso, and canter in both directions. 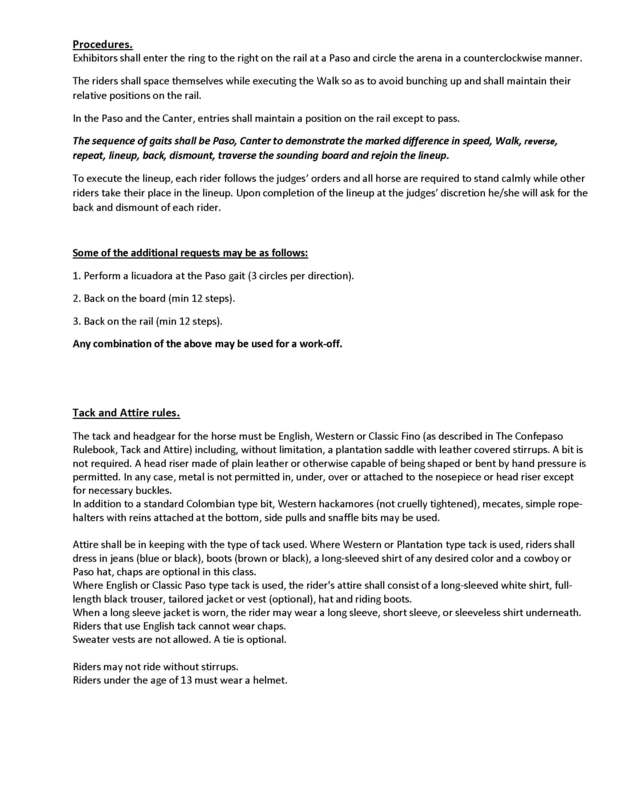 They will also be required to line up, mount and dismount, and then go over the sounding board in one direction. 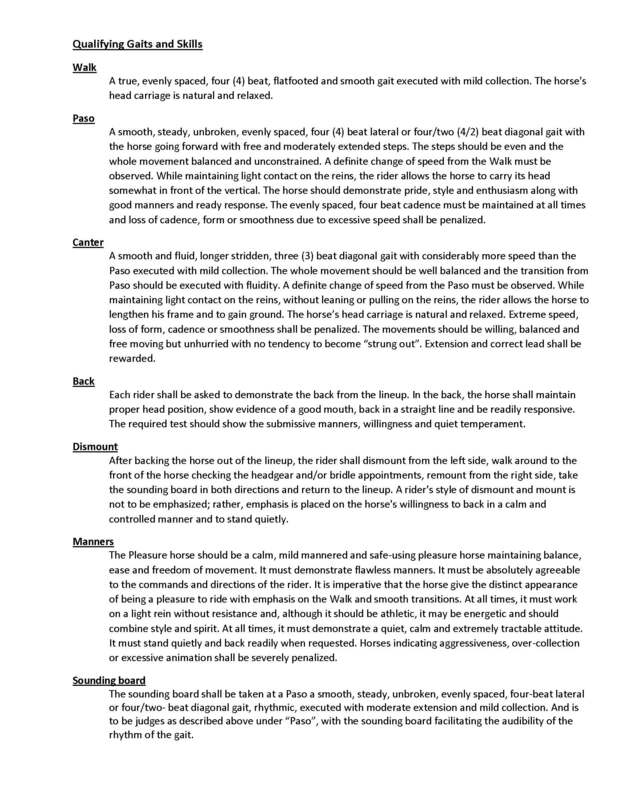 The focus on this category is not on the gait, but rather on the trail worthiness of the horse. 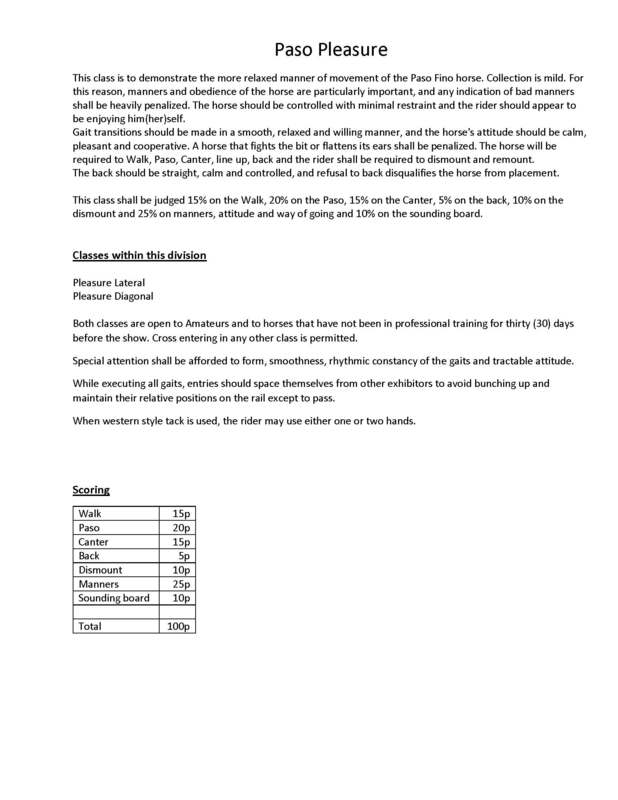 Horses shown will need to display a calm disposition, showing a relaxed way of going at all times. 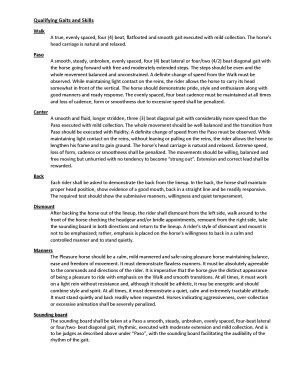 The rider should appear calm and relaxed, and the gait transitions should be smooth and the horse should not appear to fight the bit at any time. For this new category there is an introductory price of 15,= for all entries. 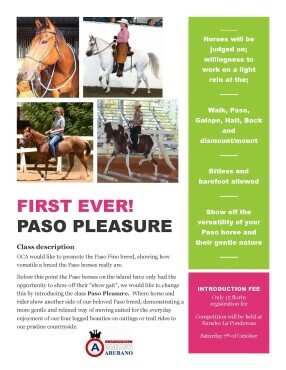 This category will take place on Saturday, before the Paso Fino classes.